True romantic love is one of the most beautiful feelings in the world! 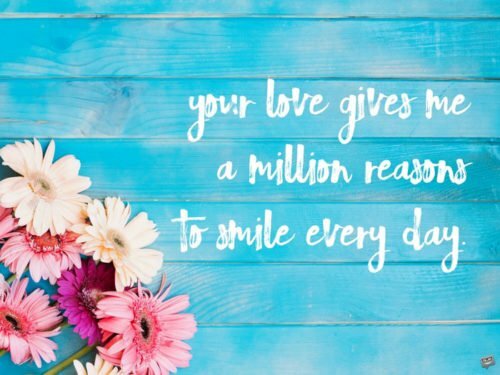 If you are lucky enough to have this and are in search for short and sweet romantic quotes to send to that special someone in your life, we have more than enough for you. Below we have provided such quotes you can use to remind your sweetheart just how focused and strong your feelings are for him or her. 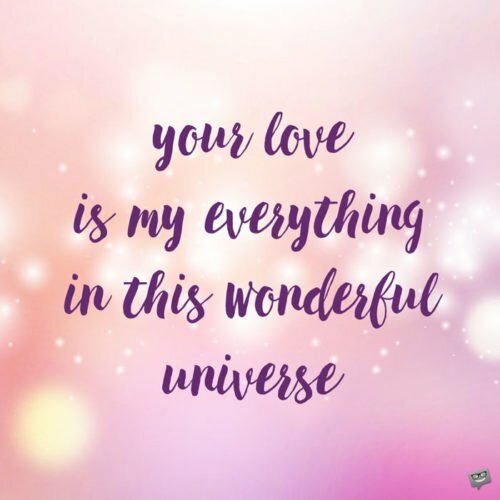 Your love is my everything in this wonderful universe. Your heart and mine share a special rapport that neither time nor space nor adversity can severe. Every time I see you, I rejoice like Adam when he was first awe-stricken by the beauty of Eve. I was put on this earth to do nothing but love you. The love I have for you is the only one thing in this world that I’m 100 percent certain will last forever. If you ever left me, it would be like my body is still intact, but my heart sucked into a black hole. Even if the entire world is against me, knowing that you have my back gives me the strength to go out and face it. Every time I need a self-esteem boost I remind myself that I possess the love of one of the most beautiful women in the world. There’s no two ways about it, God created me to be yours, darling. Every wish I ever had in life was simultaneously fulfilled when you decided I was worthy of your love. Our romance is like a classic love story, the only difference being that ours will not end in tragedy. Sweet darling, I look forward to not only spending this day with you but indeed the entirety of my natural life. Your love gives me uncountable reasons to smile every day. Even if I have yet to physically put a ring on your finger, the ring is already present around my heart. Like a rose that blooms in the desert, your love is the impossibility that flourished despite us living in an unkind world. Your love makes me a perfect person. Without the sweet love you bestow upon me, I would be worse than worthless. I agree that you are an unusual person, but those are the same qualities I love about you. I love you and never want to spend even one day without you. It is difficult for me to picture my love for you being any greater than it already is, but at the same time I know our future is going to be even more romantic than our present. I am greatly privileged to have fallen in love with God’s most beautiful angel – you. Love is an unexplainable phenomenon that has put me in complete and utter awe of your being. My only goal in life is to become a better person so that you will love me even the more. You may perceive certain shortcomings in your life, but in my opinion you are unequivocally perfect. You came from the west, and I came from the east, but now this love is powerful enough to take us in any direction. When I am with you, it is like being enclosed in a love bubble, where the outside world doesn’t even exist. Your physicality is stunning, but your inner qualities are even more amazing. I promise nothing on earth or up in heaven can ever put to an end the love I feel for you. I hope when you see me you see a mirror image of yourself and in that regard have a reason to love me just as much as I love you. I know it may be foolish to fall in love with someone’s looks, but the only way for your beauty not to mesmerize me is if I went blind. The love I have for myself pales in comparison to the love I have for you. If I were a musician, I would write an entire album of timeless love songs and name it after you. 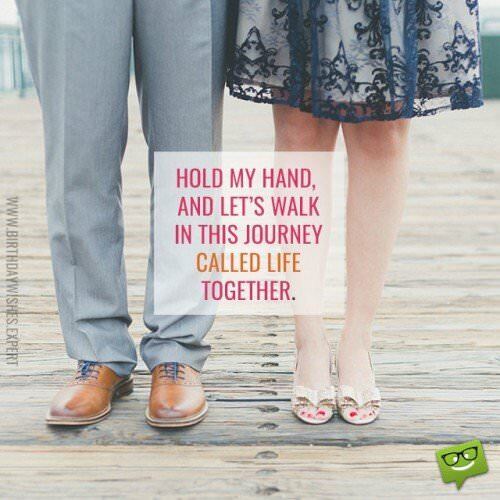 I may not be the romantic type, but I would give my right hand in exchange for your undying love. Dear darling, spending one day without you feels like spending one year in incarceration. I may be lacking in eloquent words to speak, but to put it succinctly – I love you and never want to spend even one day without you. I have to keep my emotions in check, for if I loved you any more than I already do, it would be border lining unhealthy obsession. It is only you whom I love enough that even the slightest words of anger or dissatisfaction can cause me to shed a tear. Any role you need me to play I am willing to act out, so long as it doesn’t require me minimizing my love for you. I love you so much that I would rather die than give myself to another man. Even if this romance does not last a lifetime, I am still appreciative for its existence, for being with you has taught me the responsibilities of being in love. I am 100 percent, totally dedicated to you and your love…today and forever. I am always ready to answer your call despite the time of day you may be calling because the love I have for you is beyond explanation and description. Even though I may not be able to define how I feel about you in words, I know it is more real than anything I ever have written. Loving you is something I never planned for in any way, shape or form yet it is by far the best thing that has ever happened in my life. Our sweet love is the only thing in the entire universe that is utterly perfect! They say that love comes and goes and nothing is permanent, but picturing life without you is a portrait my mind cannot paint. I fell in love hastily and took a big risk with my heart, and I thank you with all my heart for not disappointing me. People sometimes say bad things about you, but I personally can look past your unsavory qualities because I love you. I have made many sacrifices to be in this relationship, but in light of having you, they are all considered expendable losses. Whenever I am to take my last breath, I hope it is filled with the fragrance of the cologne of your amazing love. I protected my heart like a vault until I met a guardsman like you I felt worthy of entrusting it to. “I love you” is too weak a phrase to describe the feelings I have for you. Your love gives me a million reasons to smile every day.